RVD-H reactors were engineered specially for chemical reactions in aggressive media for chemical, pharmaceutical, agricultural, food, petrochemical, and power industries. Acids and other liquids used in production of chemicals are extremely aggressive to wetted parts of equipment. The Hastelloy alloy used in RVD-H reactors guarantees long-term operation and prevents corrosive damage to both the reactor vessel and the lid along with fittings. 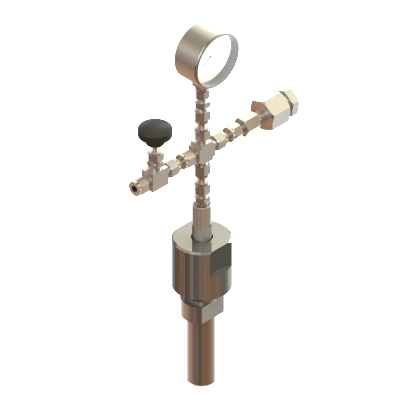 RVD-H Hastelloy reactors have a maximum operating pressure of 200 bar and a maximum operating temperature of 250°C. 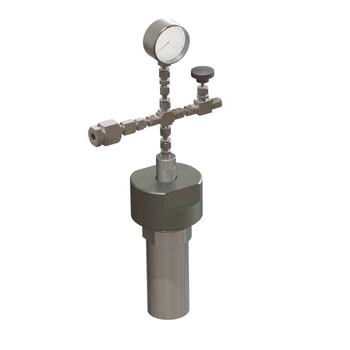 RVD-H reactors are equipped with a 250 bar pressure gauge, a safety membrane, a needle valve made from Hastelloy, and a fast locking and sealing system. 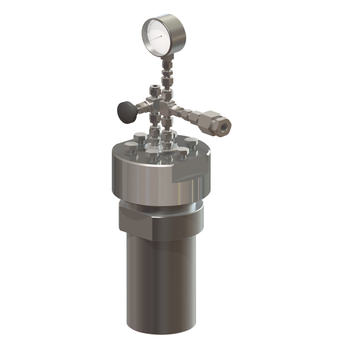 The reactor can also be supplied with a glass or PTFE insert for easy removal of products from the reactor. Heating and mixing is either with a magnetic stirrer hotplate or with an electric heating jacket and magnetically coupled overhead stirrer. If operated and maintained properly, the RVD-H reactors made from Hastelloy can work for decades, which makes them a very economical option compared to other available materials.